Are you having a hard time keeping up with all of Google’s updates? The search engine giant, Google, has verified that a new Panda update has been rolled out on November 6. This update is #21 in a series of Panda algorithm updates started in early 2011. The company also released some information about the new update and who would be affected. The newest refresh will impact approximately 0.4% of search queries that regular users might see according to Search Engine Land. For those searchers in the US in English, this percentage is higher at 1.1%. Coined Google “Panda”, this major Google algorithm update or as Danny Sullivan of Search Engine Land describes it, “Google’s “recipe” for how to rank web pages” was rolled out in February of 2011. The purpose of this update was to filter out “poor quality content from working their way into Google’s top search results.” This initial Panda #1 update affected 11.8% of English and US only search queries. Content farms – sites with shallow or low-quality content. And we’re evaluating multiple changes that should help drive spam levels even lower, including one change that primarily affects sites that copy others’ content and sites with low levels of original content. When this happens, sites previously hit may escape, if they’ve made the right changes. Panda may also catch sites that escaped before. A refresh also means “false positives” might get released. As I mentioned earlier, the Google Panda update of November 6, 2012 is #21 in a series of updates that have taken place since February of 2011. For the entire list of each update and the impact, please see Search Engine Land’s list. Google’s fundamental goal is to provide high quality sites in their search results. The search engine Goliath has been releasing these algorithm updates and tweaks to make it better user experience for all. 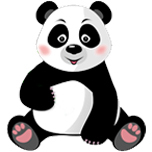 Similar to the preceding updates, Google Panda #21 is another in a series of updates to ensure this. To safeguard your website against the consequences of the Panda updates, be sure to follow Google’s quality guidelines, produce quality content and implement ethical SEO. Have you experienced any traffic changes as a result of any of the Panda updates? We would love to your story. Please comment below. Thanks for sharing this, allowing those of us who don’t live and breathe the deeper machinations of SEO and SEM on a daily basis to gain a little understanding! You are so welcome, Mallie! I appreciate your comment and hope that this has helped bring some insight to Google’s updates. Great post, Robin. I always thought Pandas were cute. 🙂 On a serious note though, you bring up some excellent points – that if you’re following the Google rules by producing quality content and following ethical SEO guidelines, your website traffic won’t be negatively impacted. Otherwise, the algorithms may actually work against you. Thanks for the helpful info! Thank you, Jennifer! You are absolutely right about following Google’s rules and producing quality content as well as adhering to ethical SEO techniques. I appreciate you taking the time to comment! Thanks for sharing about this update Robin! There are so many changes happening all the time that it is definitely a challenge to keep up with them! You are most welcome, Jen! There does seem to be continuous Google algorithm changes and it does seem difficult to stay on top of them. Thank you for commenting! Thank you for this informative article. These Panda updates are relentless and unending, thanks for keeping us up-to-date with the latest releases and updates. You are most welcome, Jennifer. Thank you for stopping by and commenting! Glad to hear that you found this usefull, Peter!